Perry Mill was built in 1835. 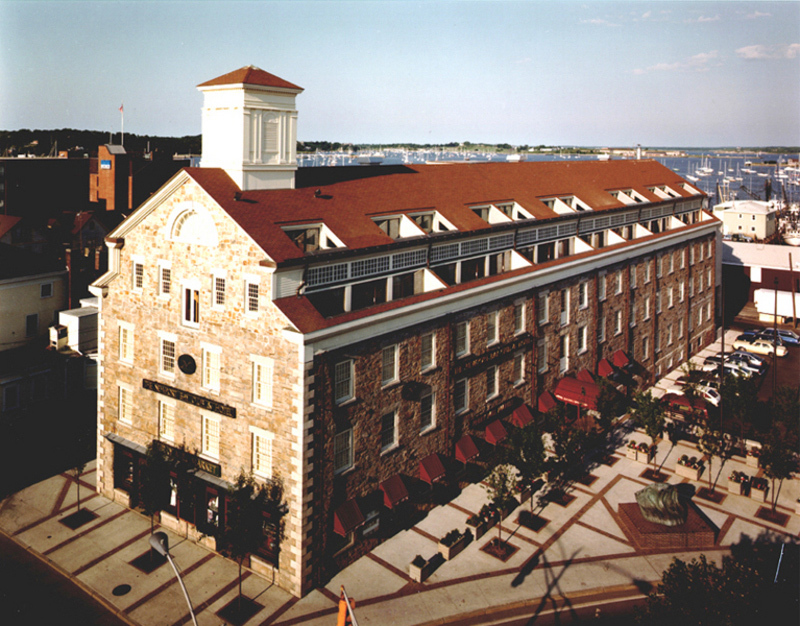 The landmark with open floor plans, large windows, and solid masonry construction, was among the first to be successfully adapted for mixed use. 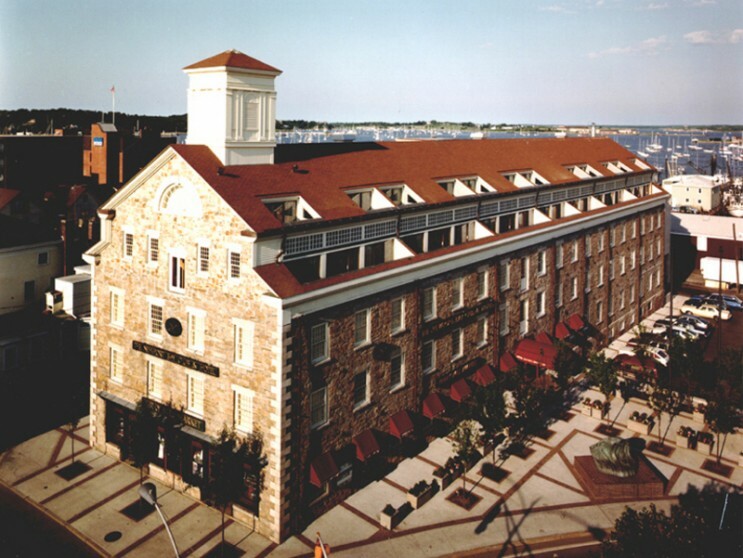 NCA transformed the mill into a timeshare resort featuring 36 suites, and commercial space for restaurant, nightclub and retail arcade. The plan called for reconstructing the two-story gabled roof with heavy timber framing and planking to duplicate the original shape. A clerestory screen preserves the character allowing the insertion of two levels of private decks for the suites. The arcade retains the mill’s original wood planking, yellow-pine beams, and rough-cut granite. A central brick paved corridor creates a promenade with full-height glass storefronts lining either side of the space. The project earned AIA/New England Design Excellence Award.